This is a fun and easy way to go over all those boring rules. 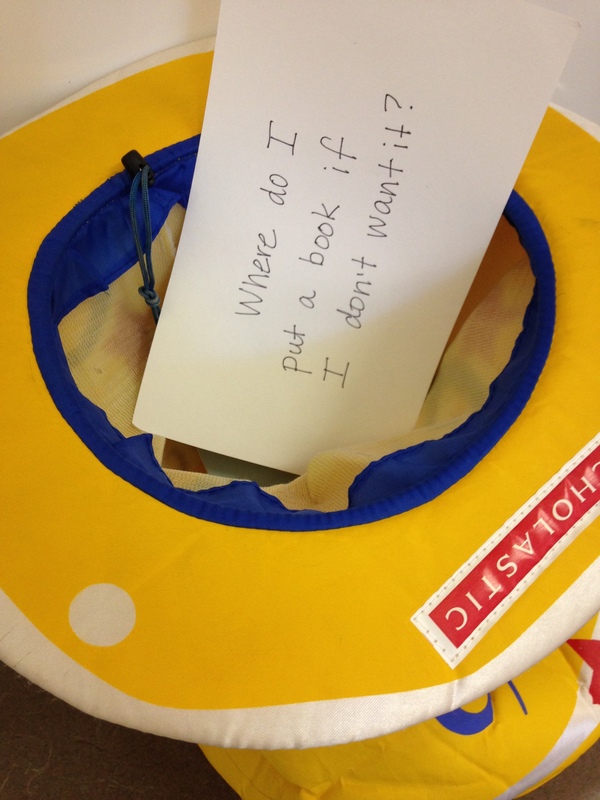 In the hat are common questions about the library routine. I pull out a card and we answered each one together. Each class had a chance to check out books. 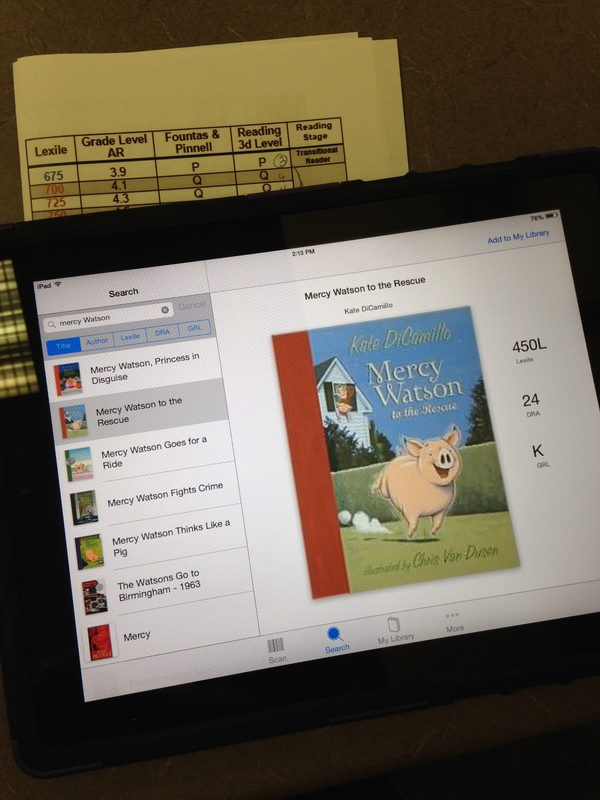 We have two wonderful new apps to help us find just the right fit book. 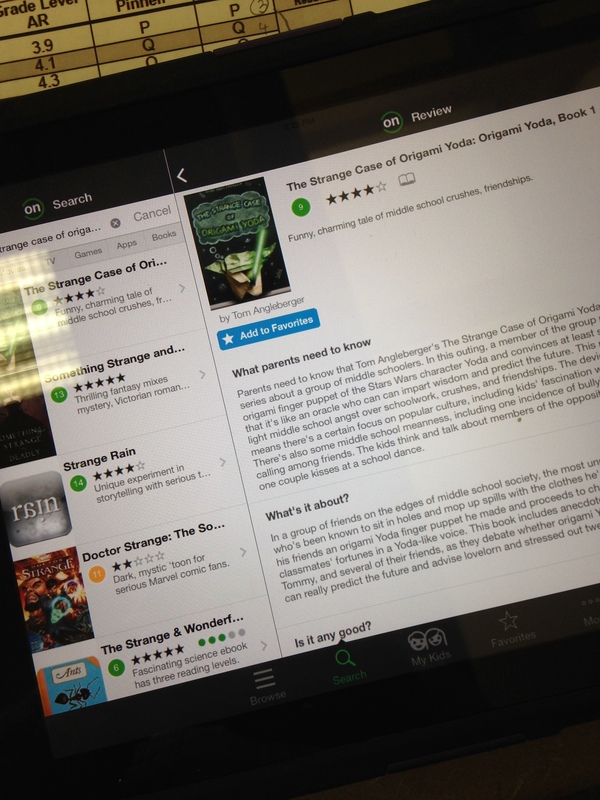 Literacy Leveler gives us the reading level of a book and Common Sense Media gives us suggestions about the appropriateness of the content of a book. * K- one book for one week. If a K student forgets to return their book on their Library day, they can “save” a book to check out when the original book is returned. * 1—one book for one week (until January when the Bookworm Club begins. At that time it will change to 2 books for 1 week). Additional books may be checked out for classroom assignments. 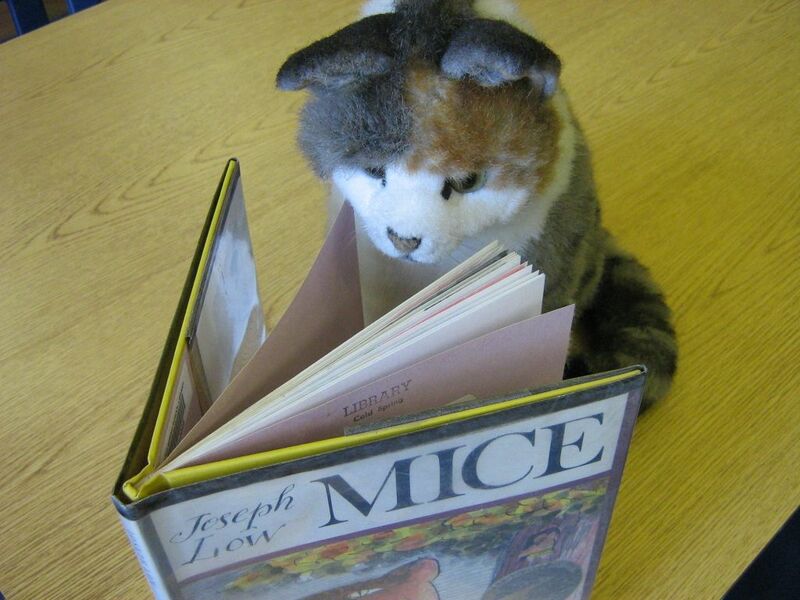 Books can be renewed up to 5 times and need not be physically returned to renew. We can do it on the computer. Here’s to a great 2014-15 school year!